Software licensing and monetization continue to be critical factors in a successful deployment for ISVs, particularly as the IoT and embedded systems market evolves and end user licensing preferences change. 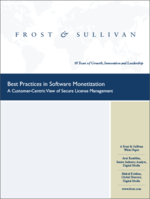 Frost and Sullivan recently released their annual report on the Global Software Licensing and Monetization (SLM) Market. The findings are interesting as always, but one conclusion sited in particular stands out. Embedded software monetization is the fastest growing application of SLM technology. Industrial automation is the largest embedded segment today, while use is growing in healthcare, automotive, and telecommunications. 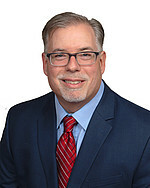 Lower operating costs and optimized efficiency are major drivers of the “connect to profit” Internet of Things (IoT) paradigm. Usage-based licensing is a key trend in the software monetization market as customers gain increasing say in how they want to consume and pay for their software. Pressure is growing on SLM systems to competently handle traditional and usage-based licensing. Counterfeiting, piracy, grey manufacturing, data theft, and malware infection remain serious threats for software and software-powered products and continue to be important drivers for the adoption of SLM. The report further mentions that SLM solutions will protect $ Billions in software and software-powered products by 2022, yet also notes that many ISVs and embedded vendors continue to attempt to build their monetization layers in-house. With such a large market opportunity at stake for ISVs and embedded system developers, it seems that for them to employ a trusted SLM partner would go a long way towards helping them gain a competitive edge and take full advantage of the emerging software licensing and protection landscape. I invite you to read the white paper and see how a robust and flexible SLM system can help you better serve your customers and advance your business. Of course, it is no easy decision to switch from a “home-grown” to a commercial SLM system which is why ISVs should evaluate the licensing solution and the vendor in a careful, and forward-looking manner. One of the key takeaways of the white paper are the three steps in “How to choose a license management solution.” If you are considering a new SLM system, I encourage you to take a moment to read it.